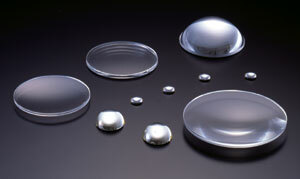 We produce lenses for digital imaging equipments, We also produce press molded aspheric lenses, polished aspheric lenses, and molded optical components of various shapes which require advanced technology to your order. 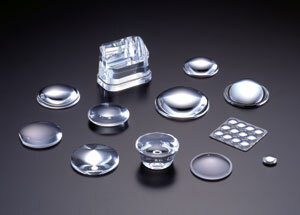 ●Crown Glass, Plate Glass, etc. * Cutstom-ordered glass materials are also available. * Please consult us for your specific needs for accuracy. Profile Accuracy : Against design value, ±5micron or better, ±10micron or better, ±20micron or better depend on the size and shape. Please consult us for your specific needs for accuracy. Profile Accuracy : Against design value, ±3micron or better, ±5micron or better, ±10micronor better, ±20micron or better depend the size and shape. Please consult us for your specific needs for accuracy. Profile Accuracy : Against design value, ± 5micron or better, ±10micron or better, ±20micron or better depend on the size and shape. Please consult us for your specific needs for accuracy.